Another new month, another new tag from Tim the man. 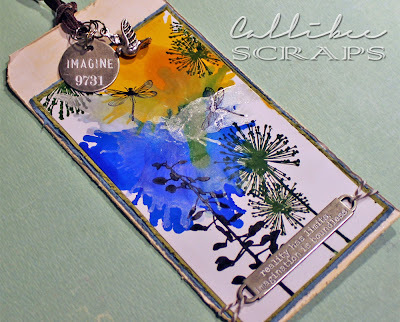 This one uses alcohol inks and specialty paper. Tim uses pressurised air to create his "fireworks" but I had to rely on my own breath so my splodges are not as pretty. Note to self to get some canned air as after this project, I feel like a chipmunk who has stuck too many acorns in its cheeks. Since Tim's tag was based on 4th of July (which we don't celebrate), I decided to use one of my nature stamps to create my tag. I like how how the puffballs look like fireworks. My splodges don't look as good as Tim's but I like the colour combinations that I chose. 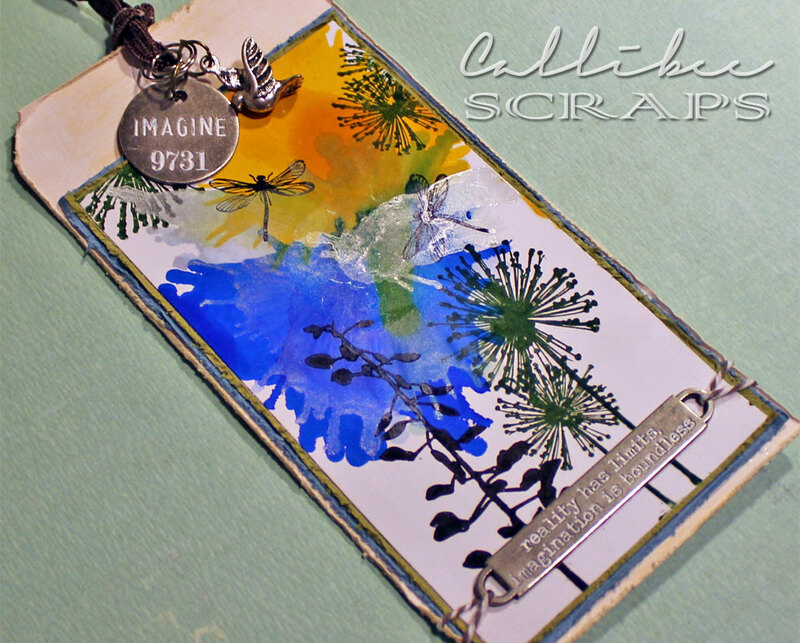 The blue and yellow give a lovley summery feel to your tag. I like the nature theme.